On Monday night I was invited to dinner at St. George Lycabettus with Jerome Serres. Oui, oui that’s right, a three Michelin starred French Chef, Jeromes Serres who over the years has influenced the gastronomic side of fine dining Athens. On the occasion of St. George Lycabettus 40 year anniversary the renowned Chef is back in town offering his signature Menu at the La Suite Lounge Restaurant. 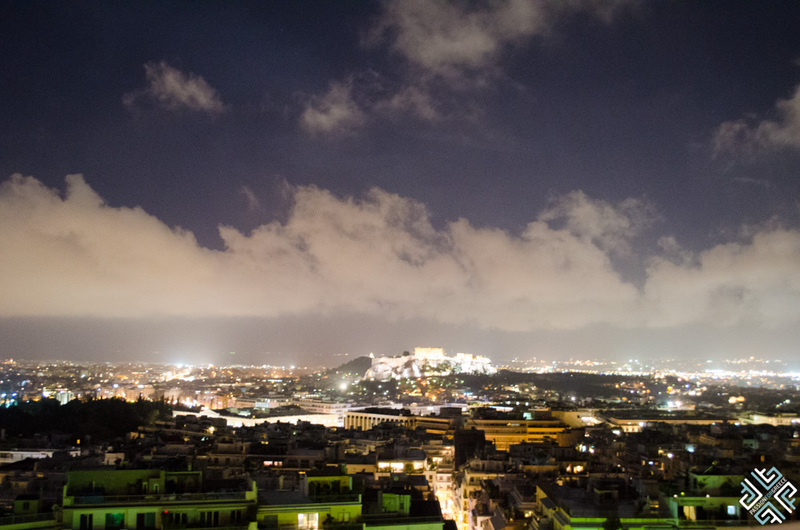 Our memorable evening started with a refreshing Rum and Berry cocktail overlooking the starry Athenian sky and the majestic landmark, the Acropolis. 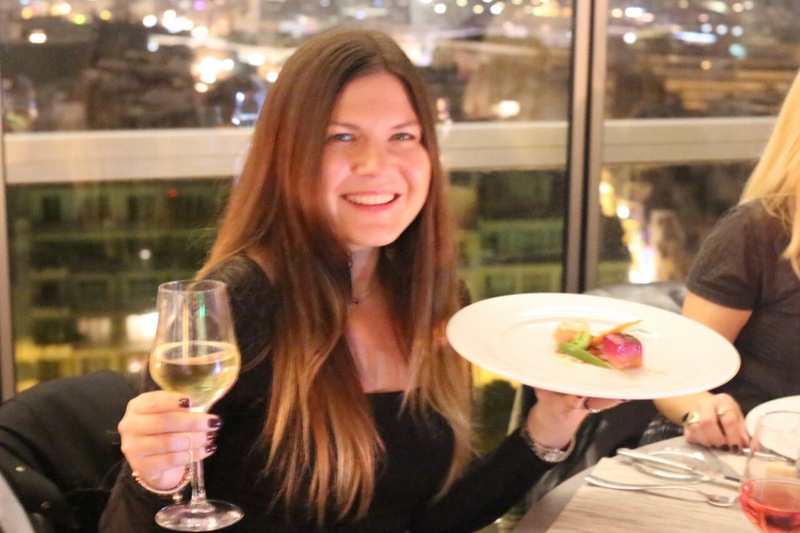 Our host, Manuella Lemou, the Marketing Manager of the St. George Lycabettus hotel invited some of the best food bloggers in town to savour this gastronomic experience. 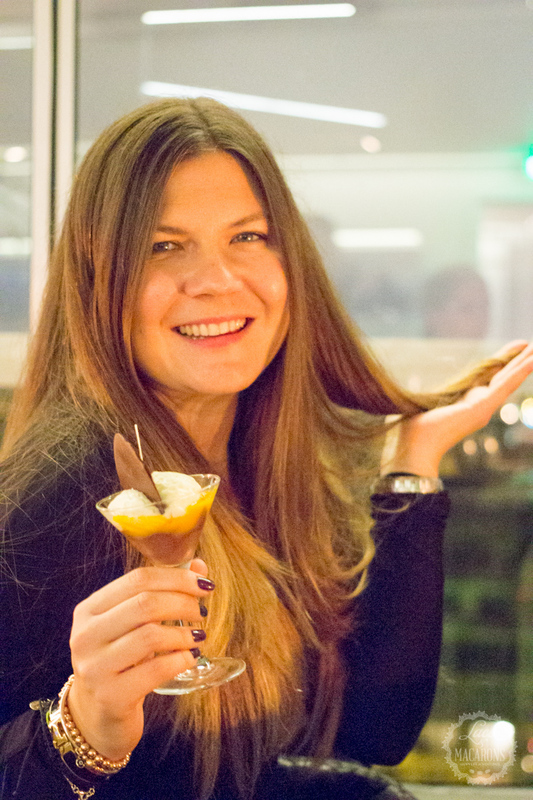 Among all the foodies there was moi, not a food blogger per se but someone with a great passion for food. 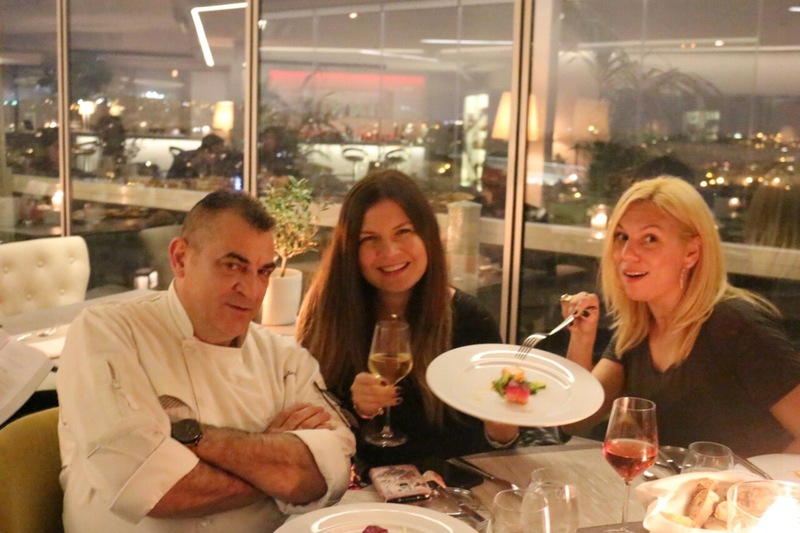 In a romantic setting, accompanied by the sweet sounds of live jazz, we sat at the round table ready to experience the Menu Degustation, that was prepared for us by the man himself Chef Jerome Serres together with the hotel’s Head Chef Vassilis Milios. An honour indeed. 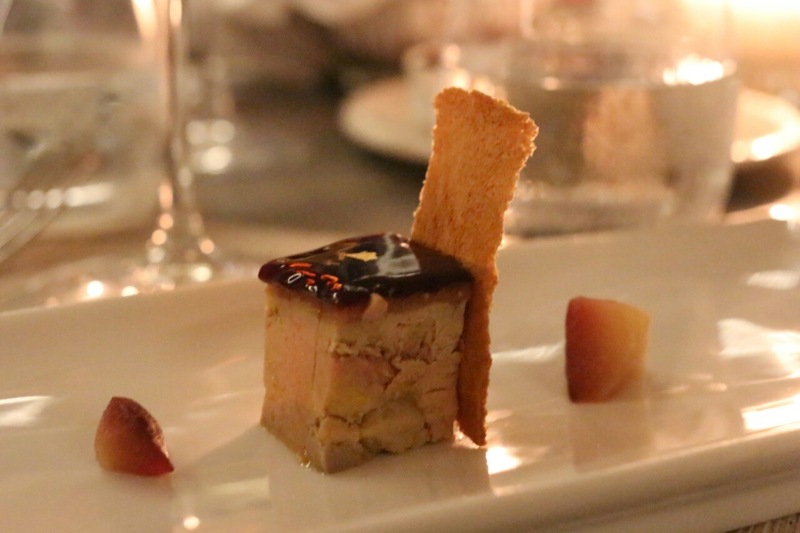 First came the most delicious gastronomic creation, the foie gras served in a shape of a cube, topped with lemon cream and poached pears cooked in red wine sauce, with a touch of 24K gold leaf. 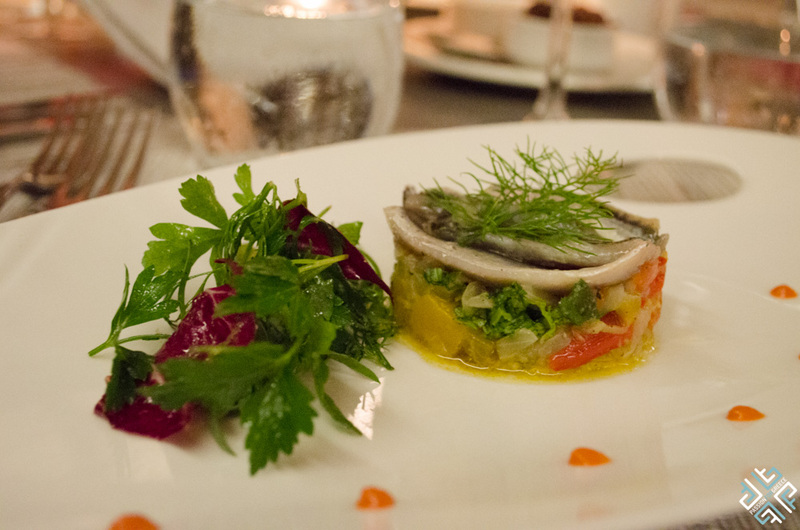 We then had an anchovies tarte nested on fresh vegetables and herbs. 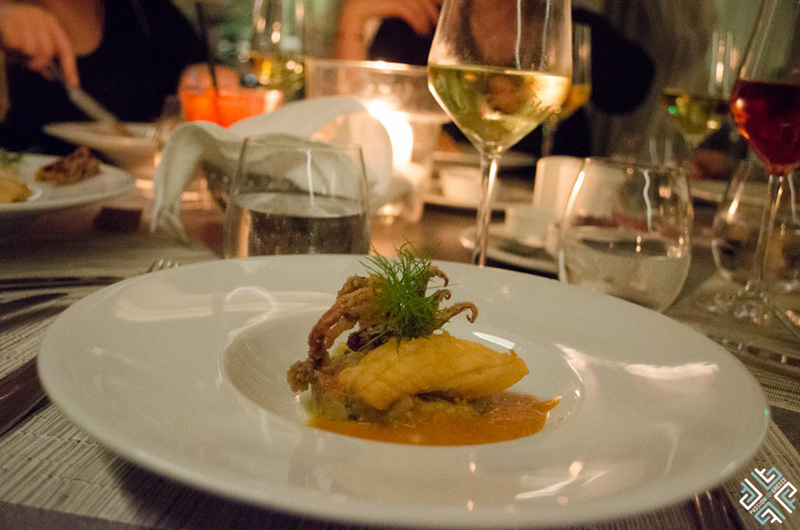 The signature menu combines the healthy aspect of the Mediterranean cuisine using plenty of olive oil. Then came the sautéed squid with aubergine mousse. That wasn’t all, next was two types of salmon fillet, one marinated with beet root giving it a dark red colour and the other in citrus vinaigrette with a touch of honey. The finale just before we moved to desserts was the Lamb trilogy, served with fresh vegetables topped with an olive and sun dried tomato sauce. For dessert we had mille-feuille with lemon cream, whipped cream, lemongrass and lemon sorbet, and chocolate ice cream with mango and passion fruit, white chocolate cream and cardamom. The highlight of this wonderful evening was to actually meet Chef Jerome Serres who shared his story on how he started with his passion for cooking and his inspiring road to success. By the end of the night our conversation went from speaking Greek (the Chef speaks excellent Greek) to French! Mille merci à la Chef pour cette soirée magique! 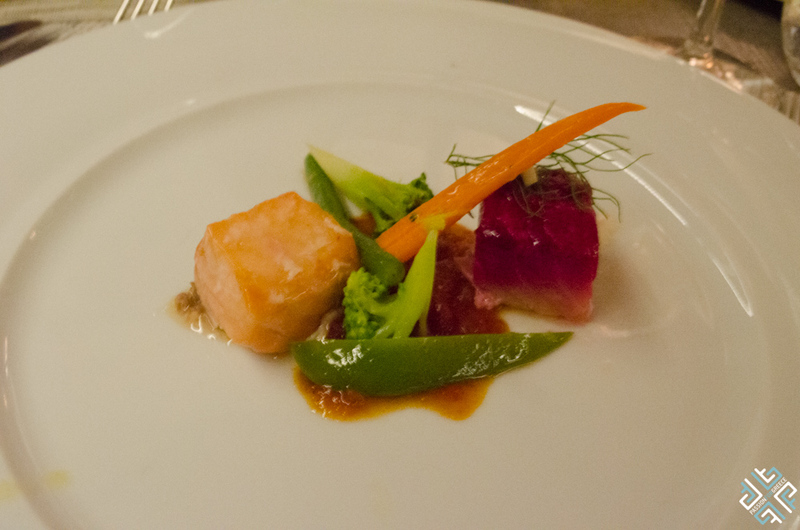 Would you like to try these gastronomic creations yourself? You may do so at the La Suite Lounge until the end of the year. 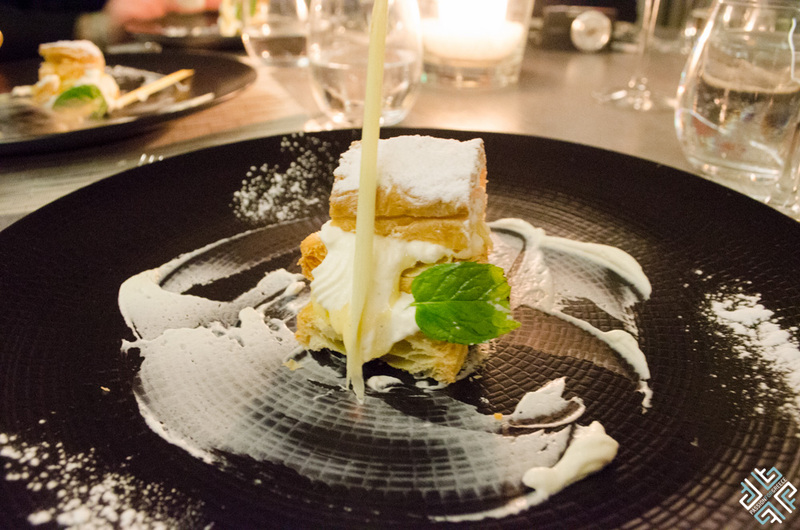 The Menu Degustation which includes a choice of three dishes and a glass of champagne is at €40 per person.